Observation - miked's 190th spot submitted on 6th July 2009 - UK and Ireland. 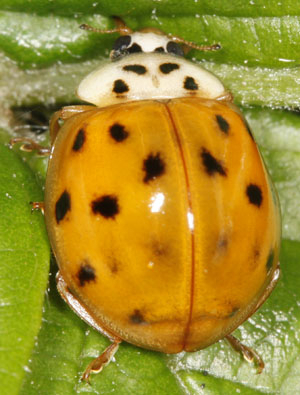 Description: Is this a harlequin ladybird, looks rather different from 'normal' harlequins but about right size and only other thing i could think of is cream-streaked. Is this a harlequin ladybird, looks rather different from 'normal' harlequins but about right size and only other thing i could think of is cream-streaked.